Find your next hotel here. Dedicated to the advancement of cosmetic science, the Society strives to increase and disseminate scientific information through meetings and publications. By promoting research in cosmetic science and industry, and by setting high ethical, professional and educational standards, we reach our goal of improving the qualifications of cosmetic scientists. Our mission is to further the interests and recognition of cosmetic scientists while maintaining the confidence of the public in the cosmetic and toiletries industry. Strategic, Equity-Building Packaging Design & Development As tastes become more sophisticated and consumers shop more selectively, the global packaging market continues to grow with complexity. With so many moving parts and variables, the need for an all-inclusive design & development lifespan path is essential. With countless structural and graphic iterations, delays, approvals and demanding deadlines, it’s critical to have a seamless overview of your creative workflow. The NYC Chapter of the American Society of Plumbing Engineers is putting on our biennial Plumbing and Fire Protection Exposition. 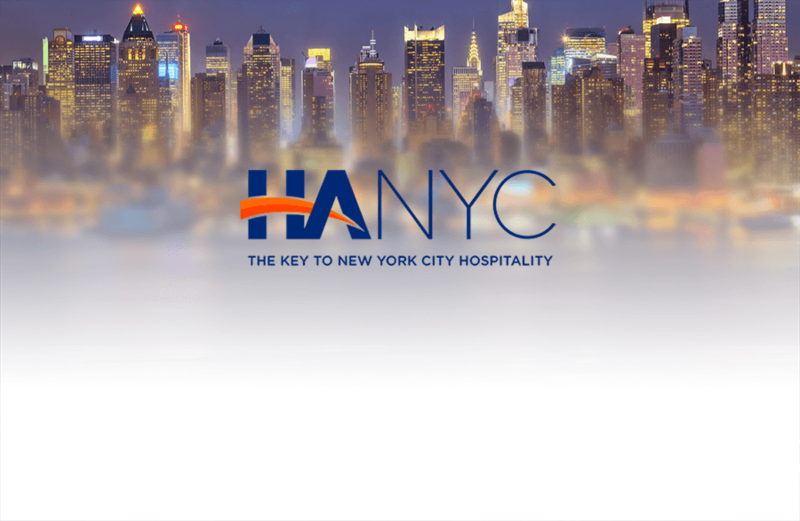 We are excited to announce that this year’s expo will be held at The Javits Center, New York City’s premier venue for conventions, trade shows and special event. The exposition will be attended by engineers, designers, consultants, contractors, architects and city officials making it the opportune time and place to display your latest products and services. River Pavilion Exhibitor set-up: 9:00 a.m.-2:00 p.m.Event times: 4:00 p.m.-8:00 p.m.Exhibitor breakdown: 8:30 p.m.–10:00 p.m.
BookExpo America (BEA) is the #1 book and author event that offers the book industry access to new titles, authors, and education about the publishing industry. BEA is the best place to discover new titles and upcoming books and meet face-to-face with favorite and up-and-coming authors. It is a dynamic environment for networking, sourcing, and relationship building in the publishing industry in North America. BEA offers four event-packed days, 800+ authors, hundreds of new titles, 1,000+ exhibitors, and four Author Stages, along with the Digital Discovery Zone (D2Z) brought to you by IDPF. FIND THE BUSINESS YOU'VE ALWAYS BEEN LOOKING FOR — IN JUST ONE WEEKEND!Join thousands of entrepreneurs and business owners at the International Franchise Expo, the largest franchise expo in the country. Meet hundreds of proven franchise opportunities. Every industry. Every investment level. Full-time and part-time. CWCBExpo is the top trade show and conference on the East Coast for the medical and legalized marijuana and hemp industries, covering the most important topics and business objectives needed to succeed in this rapidly changing and growing industry. BookCon is an immersive experience that features interactive, forward thinking content including Q&amp;As with the hottest talent, autographing sessions, storytelling podcasts, special screenings, literary quiz shows and so much more. At BookCon, Fans will interact with the authors, publishers, celebrities and creators of content that influence everything we read, hear and see. Taking place in the publishing and cultural capital of the world, BookCon is the event where storytelling and pop culture collide. BookCon is an immersive experience that features interactive, forward thinking content such as: Panels and Q&amp;As with the hottest authors, celebrities and content creators A Show Floor with the most influential publishers in the world Autographing sessions Literary quiz shows BookCon is the ultimate celebration of books, where your favorite stories come to life. Who Needs A Ticket Kids 5 and under will be admitted for free to BookCon and no ticket is required. Kids 6-12 must have a valid Kids Saturday or Kids Sunday Ticket to attend BookCon. Please be prepared to show proof of age onsite. Please note, BookCon recommends all children under 18 attend with an adult, and all children under 13 must have an adult with them while at the con. Small Business Trade Show brings together thousands of business owners and decision-makers to network, attend business critical workshops, build new business relationships and shop from vendors that provide unique products &amp; services. Start-up to a Fortune 500, this is a highly anticipated annual event that every business must attend! The Children’s Aid Society helps children in poverty to succeed and thrive. We have been serving children for over 160 years, a longevity that is a testament to our ability to adapt to the ever-changing needs of today’s youth. After all, you don’t succeed for 160 years by being old-fashioned. The most comprehensive advanced design & manufacturing event on the East Coast brings together the industry’s leading show brands – MD&M East, EastPack, Atlantic Design & Mfg, ATX East, PLASTEC East and Quality Expo – into one can’t-miss, end-to-end showcase. Greenhouse OPEN is a forum for 1000+ Recruiting and Business professionals to come together to learn, share best practices and dive deeper into the transformative impact of great hiring. This year we are celebrating the Talent Makers – the people on all sides of the hiring process that have figured out how great hiring drives business growth. CE Week’s timing and location has made it the epicenter in the US technology industry for showcasing innovation, exploring emerging trends, AND building critical relationships. For over 10 years, technology companies seeking accelerated growth and increased sales in the ever evolving consumer technology industry have come to New York City in the middle of the year to be part of CE Week. In cooperation with IFA, the world’s largest technology trade show, CE Week is now poised to become the premier platform for conducting business, securing press coverage, and generating buzz in the North American technology marketplace. CE Week showcases the most innovative technology and connects key decision makers through matchmaking, high quality content, and networking. In 2018, IFA and CE Week will debut a new, unique partnership of unprecedented global influence and infrastructure to advance relationships between buyers, sellers, and consumers. Partnering with getgeeked New York and ShowStoppers, CE Week provides exhibitors with all of the key audiences they need to engage with to be successful in the second half of 2018. Showstoppers’ global press relationships serve international media interest, and getgeeked New York will be bringing the hard-toreach tech enthusiasts to check out the newest products on the market. North America’s Largest Specialty Food and Beverage Event comes to New York City annually in the late June timeframe. Discover 180,000 products including confections, cheese, coffee, snacks, spices, ethnic, natural, organic and more. Connect with 2,400 exhibitors from 50 countries &amp; regions. The World comes together for the Biggest Pride Charity Event in history. Be a part of the global human rights movement on the 50th anniversary of Stonewall at NYC's most prestigious venue. Join us early to Rally with special guest performers, celebrities and leaders as we stand to embrace equality. The celebration continues with music and dancing led by international DJs, musicians and live acts. Proceeds benefit the Stonewall Gives Back Initiative and LifeBeat. Whether you are new to the cloud or an experienced user, you will learn something new at an AWS Summit. These events, held around the world, are designed to educate new customers about the AWS platform and offer existing customers deep technical content to be more successful with AWS. All AWS Summits feature a keynote address highlighting the latest announcements from AWS and customer testimonials, technical sessions led by AWS engineers, and hands-on technical training. You will learn best practices for deploying applications on AWS, optimizing performance, monitoring cloud resources, managing security, cutting costs, and more. You will also have opportunities to meet AWS staff and partners to get your technical questions answered. The AWS Summits will give you tools and information to help you successfully navigate the AWS Cloud. Space is limited so reserve your free seat today. We invite you to join us for Texworld USA, the largest sourcing, networking and educational event on the East Coast for apparel fabric buyers, product R&D specialists, designers, merchandisers and sourcing professionals. This international business platform offers a wide selection of different fabrics and textiles across over 20 product categories. Held bi-annually, Texworld USA provides the opportunity to meet directly with manufacturers from Asia, the Middle East, North and South America and many other regions from around the globe. Texworld USA takes place on the same dates and at the same location as Apparel Sourcing USA and Home Textiles Sourcing Expo, providing a one-stop shop experience for visitors. Attendees will be granted access to all three shows, plus complimentary educational seminars, textile and apparel trend areas and valuable industry resources. To find out more and register to attend, please visit our official website below. Apparel Sourcing USA provides apparel brands, retailers, wholesalers and independent design firms a dedicated sourcing, networking and educational marketplace for finding the best international apparel manufacturers. As one of the only events on the East Coast to focus on sourcing finished apparel, contract manufacturing and private label development, the show provides attendees direct access to suppliers specializing in ready-to-wear and accessories for men, women and children. Apparel Sourcing takes place on the same dates and at the same location as Texworld USA and Home Textiles Sourcing Expo, providing a one-stop shop experience for visitors. Attendees will be granted access to all three shows, plus complimentary educational seminars, textile and apparel trend areas and valuable industry resources. To find out more about Apparel Sourcing USA and to register to attend, please visit our official website below. Home Textiles Sourcing Expo is the only trade event in North America to focus solely on home textiles and finished soft goods for all home applications. The show features home products in six categories including upholstery, bed, bathroom, table, window and floor and has become a go-to event for manufacturers, retailers, jobbers, converters and designers searching for the perfect fabric or manufacturing resource. Home Textiles Sourcing Expo takes place on the same dates and at the same location as Texworld USA and Apparel Sourcing USA, providing a one-stop shop experience for visitors. Attendees will be granted access to all three shows, plus complimentary educational seminars, textile and apparel trend areas and valuable industry resources. To find out more about Home Textiles Sourcing Expo and to register to attend, please visit our official website below. What's happening at Functional Fabric Fair Powered by PERFORMANCE DAYS? Why should you consider attending (if you haven't already!)? What should you expect if this is your first time attending the Show? Find the answers to these questions and so much more through the articles below. Explore the website to learn more or contact us with any questions you may have—our goal is to provide you with a seamless experience at the Show! For over 100 years, JA New York has been bringing the industry together —and that includes 500 - 750 of the world’s finest jewelry brands, designers &amp; suppliers representing the full spectrum of market categories and product choices. Vendors range from high-end designers to major manufacturers to rising stars, and encompass every taste, style and price point. No matter what kind of inventory you carry or clientele you serve, JA New York is your comprehensive, one-stop source for the customer-pleasing merchandise. IABSE deals with all aspects of structural engineering: the science and art of planning, design, construction, operation, monitoring and inspection, maintenance, rehabilitation and preservation, demolition and dismantling of structures, taking into consideration technical, economic, environmental, aesthetic and social aspects. The term 'Structures'​ includes bridges, buildings and all types of civil engineering structures, composed of any structural material. A Three Day Event Celebrating Pop Culture, Art, and All Things Drag! Held in conjunction with the area rug industry’s most important fall NY/NJ markets, this premier event showcases classic, contemporary, antique and one-of-a-kind designs from some of the most renowned producers and wholesalers. Circle of Sisters (COS) is the largest expo for people of color in NYC hosted by WBLS, HOT97 &amp; WLIB. COS hosts panel discussions, concerts, over 200 vendors selling unique items and services and more! New York Comic Con is the East Coast's biggest and most exciting popular culture convention. Our Show Floor plays host to the latest and greatest in comics, graphic novels, anime, manga, video games, toys, movies and television. Our Panels and Autograph Sessions give Fans a chance to interact with their favorite Creators. Our screening rooms feature sneak peeks at films and television shows months before they hit big and small screens. New York Comic Con is the second largest pop culture convention in America and the only one that takes place in the comic book, publishing, media and licensing capital of the world – Gotham City. High school seniors and their families are invited to join SUNY representatives for a program designed to provide information and answer your questions about the college search process and all that is available to undergraduates at The State University of New York. The Big Apple College Information Program has been helping New York City and the Metropolitan Area high school students discover new educational opportunities by hosting major college fairs and information programs for thirty years. Students interested in applying to college will have an opportunity to meet admissions representative from 200 schools located throughout the country. Financial Aid Workshops will be available for students and parents on how to finance a post-secondary education. Register for New York College Goal Sunday to receive assistance in completing the Free Application for Federal Student Aid. The Chem Show is where engineers, plant managers and other CPI professionals find the latest equipment, technology and resources to improve their operations. Are you under pressure to increase capacity, decrease costs, consolidate steps, and optimize your processing and plant operations? We’ve built a Show for you. The IFPDA is a nonprofit organization of expert art dealers who foster a greater appreciation of fine prints through exhibitions, programs, print fairs, and the IFPDA Book Award. Where can you connect with more than 2,000 event and meeting professionals at the same place, all in one day? Only at BizBash Live: The Expo New York—the premier trade show and conference for the event industry. Packed with innovative ideas from thought leaders and creative thinkers, the latest trends taking the industry by storm, and the perfect vendors to create memorable events all year long, you can’t afford to miss BizBash. Join us for a day of learning, engagement, connections, and inspiration designed to bring you outside the everyday, engage your mind, and change the way you look at events. North America has been distinguished as one of the biggest and most important markets at the forefront of the personal care and ingredient sourcing industry. 70% of US personal care manufacturing is located in the tri-state area of New York, New Jersey and Connecticut, with three major manufacturing hubs also on the East Coast, California and Texas. This places in-cosmetics North America in a prime geographical location for a range of exhibitors and visitors including: suppliers, manufacturers, R&amp;D and lab professionals. PDN PhotoPlus International Conference + Expo was founded in 1983, and is the largest photography and imaging show in North America. Over 21,000 professional photographers, photography enthusiasts, filmmakers, students and educators from around the world attend the conference and expo to: Explore the exhibit hall featuring more than 220 companies all in one place See an inspiring array of photography, filmmaking and imaging products and services Discover everything from image capture and color management to retouching and storage Learn about cutting-edge innovations in digital imaging products and techniques from industry experts The show is held annually at the Jacob K. Javits Convention Center in New York City. PhotoPlus International Conference + Expo is brought to you by Photo District News (PDN), the award-winning monthly magazine for the professional photographer. Photo District News and PhotoPlus International Conference + Expo are apart of Emerald Expositions. JA Fall offers the most current selection of merchandise for the upcoming holiday season in a true Cash & Carry environment. From tried and true staples to special showcase pieces, buyers will find product that will help boost the bottom line this holiday season. New York's Biggest &amp; Best Co-op, Condo &amp; Apt Expo! A must attend for board members, property managers, apt building owners and real estate professionals. Learn about the latest building services from more than 250 exhibitors, Attend educational seminars, Get free advice from industry experts, and network with your peers at this leading real estate trade show in New York. As a primary care clinician, you need to stay up to date on the latest clinical guidelines and recommendations, and you need to do it in a way that values your time as a busy clinician. Attend Pri-Med New York, where you’ll gain practical insights during sessions led by actual practicing clinicians, get your questions answered during Q+A, and leave with clinical pearls you can use in your practice the very next day. New York Vet matches a cutting edge clinical program counting towards Veterinary CE with practical advice on business and strategic issues in a world class venue in New York City. New York Vet represents the best in breed partnership between the team behind Europe’s largest veterinary exhibition, the London Vet Show, and Clinician’s Brief, the market leading clinical publication, which reaches over 74,000 qualified veterinary professionals. Want to succeed in search marketing? Join us in New York City for the world’s largest search engine marketing conference and expo! SMX East provides an intensive deep dive into SEO and SEM tactics — you’re guaranteed to leave with practical tips and techniques to immediately improve your search marketing efforts. SMX also has strategic sessions to help you with what’s coming over the horizon. Anime NYC is New York City’s anime convention! A showcase of the best of Japanese pop culture in the biggest city in America, Anime NYC brings anime fans and publishers together for three days of unique exhibits, exclusive screenings, extensive panels, and appearances by some of the biggest creators in Japan. Join us for a celebration of Japanese animation, manga, and cosplay in the heart of NYC! The Progressive® International Motorcycle Shows® is the world’s largest consumer motorcycle show tour. With 35 years of experience, the IMS Tour provides attendees with an all-access pass to the world of motorcycling, connecting hundreds of thousands of motorsports enthusiasts with top manufacturers and premier aftermarket brands. The purpose of The International Council of Shopping Centers (ICSC) is to advance the shopping center industry and to promote its role in the commercial distribution of consumer goods and services by: Providing educational programs and publications in all aspects of shopping center development, finance, management, marketing and other specialized areas of professional interest; Conducting meetings and other programs designed to promote the exchange of ideas among members and to facilitate the conduct of their business; Collecting and disseminating information pertaining to the shopping center industry, including statistical data and other statistical research; Developing and maintaining professional certification programs to encourage high standards for shopping center professionals; Advocating the interest of the shopping center industry to local, state/provincial, federal and international governmental bodies; and Publicizing to the general public promotional and educational shopping center business information. The three-day event includes networking opportunities, a trade show of over 400 companies, retail “thought-leader” breakfast panel hosted by Perishable Pundit Jim Prevor, educational micro-sessions and tours of the region's vibrant industry, including the local retailers, wholesalers, foodservice distributors and urban farms and unique eateries. Tens of thousands of boating and fishing enthusiasts start their season at the Progressive® Insurance New York Boat Show. With its 110-year history the show is recognized as THE place to see the latest and greatest in boating. You name it you’ll see it here first—everything from yachts and cruisers to bass and pontoon boats, from canoes and kayaks to fishing boats and personal watercraft, from marine electronics and engines to fishing gear, and more. Book trip with resorts and travel destinations, too. Join us in New York for the largest trade event focusing on the wine and spirits market in North America. Two days of meetings, tastings and education on the newest wines and spirits introduced to the North American market. As the gateway to the world’s largest wine consuming marketplace, New York is an obvious location for Vinexpo, creating the single best opportunity to enter this market. The International Esthetics, Cosmetics &amp; Spa Conference New York co-locates with IBS New York and features an extensive exhibit hall with leading companies and experts in the field of dermatology, spa services, equipment and massage techniques. IBS New York attendees get the opportunity to attend the IECSC show floor for FREE with their IBS admission ticket! Please Note: IBS New York is open to the trade only. You must show a valid license or other beauty credentials for admittance. No one under the age of 15 will be allowed on the show floor. One one leading jewelry trade event calls New York City home: smartly styled, cleanly edited, freshly re-imagined, this polished show is an electric mix of the season's best buying opportunities-and easy to work marketplace that brings the entire industry together. MJSA Expo is the show dedicated to jewelry making and design with the latest bench tools, laser, casting, and stamping machines, alloys, CAD/CAM systems, component parts, subcontractors, and business services—whatever you need to make and sell exceptional jewelry. International Vision Expos, the worldwide conference and expos for eyecare and eyewear, are trade events that draw 30,000+ eyecare professionals annually. LendIt is the largest conference series dedicated to connecting the global online lending community. Our conferences bring together the leading lending platforms, investors, and service providers in our industry for unparalleled educational, networking, and business development opportunities. More than at any time since its opening in 1986, the Javits Center is fulfilling its mission as the Marketplace of the World.